We invite you to explore the uniqueness of our culture, the diversity of our brands and the wealth of opportunity you will find within Dream Smile Dental Studios. 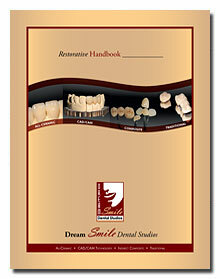 Dream Smile Dental Studios vision, is to be a world class leader in the eyes of our employees, creating educational, relaxed, and exciting work environments and to be legendary in the eyes of our customers, creating dream smiles, and lasting memories with every crown we make to every customer they serve. 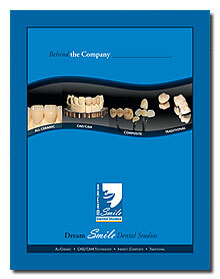 Dream Smile opened for business March 2004. The company founder and President Roobik (Rick) Ebrahimi-CDT, brings with him more than 25 years of dental technology experience. At the early age of 20, he earned his certification in dental technology, and during his career he influenced the development of the “Encore™ Bridge” technology that is now considered an industry standard. Rick is a renowned national and international lecturer on various topics such as composites, and implants. 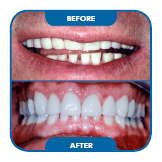 Dream Smile major competitive strength lies in its founder’s ability to fabricate an unprecedented restoration, effectively train the technicians at all levels, and eloquently communicate and educate the dentists and their customers. As an integral part of the Greater Los Angeles area, West Hollywood is a unique city centrally located to downtown, Beverly Hills, the beaches and Los Angeles International Airport. Only in West Hollywood will you find the legendary Sunset Strip, home to unparalleled nightlife, innovative dining, and world-class shopping; 14 distinctive hotels, ranging from discreet hideaways to art deco architectural wonders; and a thriving art and design community, featuring over 30 art galleries and 200+ design showrooms in the Pacific Design Center. We are always looking for great people. To apply or to learn more about Dream Smiles Dental Studios employment opportunities, please E-mail your request to: Careers@dreamsmilelab.com or fax it to: 310 276-1402.